Celia bought the plant for me last Valentine’s Day. She had to tell me it was a cyclamen. I’d never seen one before. She set the plant on the window sill. “Maybe you should start looking at things upside-down,” she said. 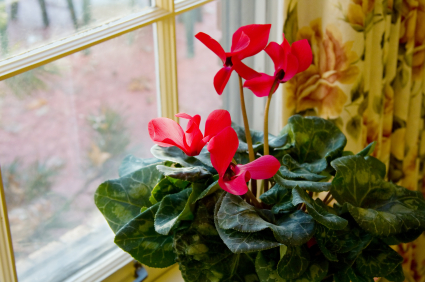 Author note: I started this story with a prompt about “outsiders looking in.” I wanted an image of a window where you’re looking out – not in – and this photo with a cyclamen plant caught my eye. Mothers and daughters are always a rich vein of conflict to delve into. I love how you started one direction and turned to another in response to the photo. Isn’t writing often like that? Fun to follow along with your process. Thanks.